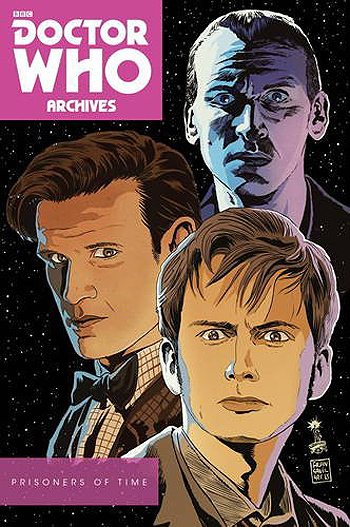 Doctor Who Archives: Prisoners of Time Omnibus celebrates the 50th anniversary of Doctor Who with a twelve-part tribute to one of the most beloved heroes of all time. Follow the first 11 incarnations of the intrepid traveler on an epic adventure as he explores time and space with fan-favorite companions, and comes face to face with some of the galaxy's deadliest foes! Featuring the complete Prisoners of Time story arc, as well as a stunning cover gallery, this is a must-have addition to any Whovian's Doctor Who collection!